Pop-punk sensation State Champs have been on a hot streak since the release of their 2013 record The Finer Things, last October. Fresh off the 2014 Vans Warped Tour, where the band played every single date, the guys are keen to keep things rolling. 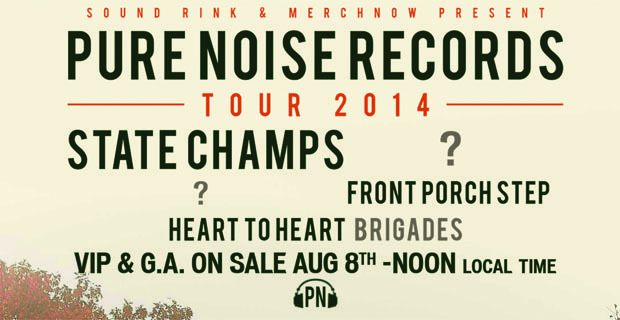 This morning, they announced a headlining month-long U.S. tour with their label, Pure Noise Records, sponsored by MerchNow and Sound Rink. The tour is set to begin October 3, in the band’s hometown of Albany, NY.